October 18th and 19th I attended the School Nutrition Association of Vermont's fall conference. It is always nice to step away from my children for a couple days and have the opportunity to miss them, plus I got to spend time with a close friend who already works for Burlington School Food Service. However the highlight was being surrounded by people who are passionate about children and how to feed them. There is so much press right now about what is wrong with school meals and little understanding of the federal program that funds school lunch and the limitations it has. Then there is the challenge of making nutritious meals that the kids will actually eat with limited funds. Before I worked as a lunch room monitor I dreamt of making lunch longer. Every day my kids would come home carrying most of the lunch they took to school. However now I know that most students eat their lunch in the first 15 minutes, and as soon as they are done eating the behavior issues begin. Now my dream is to have a math and science teacher for every school. Then teachers could have a break while their students were learning math and science, and they could be with their students for lunch and recess. However this post is not really about what needs to change in lunch, or even ways that innovative food service staff is working to change it already. 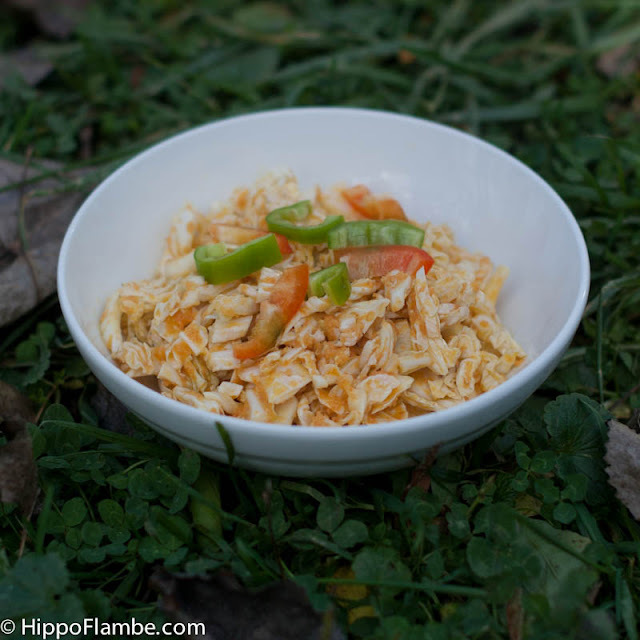 Instead this post is about Napa Cabbage and what the $#@%! I was supposed to do with the one Lewis picked up at the CSA while I was at the conference. Somehow he did not notice what I seem to be happy to bring home and what I only take when there are no other options. So I was left last week, on the day before my CSA pick up, with a head of Napa Cabbage as the only vegetable option for dinner. I ended up channeling several Asian slaw recipes, including the ginger carrot dressing I love so much. The Napa Cabbage Slaw with Miso Peanut Ginger Dressing I made was light and bright with a understated richness from the peanut butter. Sebastian declared to his brother, who was stubbornly refusing to eat it, "You should really have some. Even I like it, and that's saying something." But Julian stuck to the role reversal and refused a cabbage salad his brother was happily eating. If you cannot serve peanuts in your house, try it with sun butter or tahini instead. Place the ume plum vinegar, water, miso, sugar, mirin, ginger, peanut butter, carrots, and grape seed oil in a quart jar and blend until smooth with an Immersion Blender or puree in a mini food processor or blender. Pour the dressing on the shredded cabbage and red peppers. Mix well and serve. 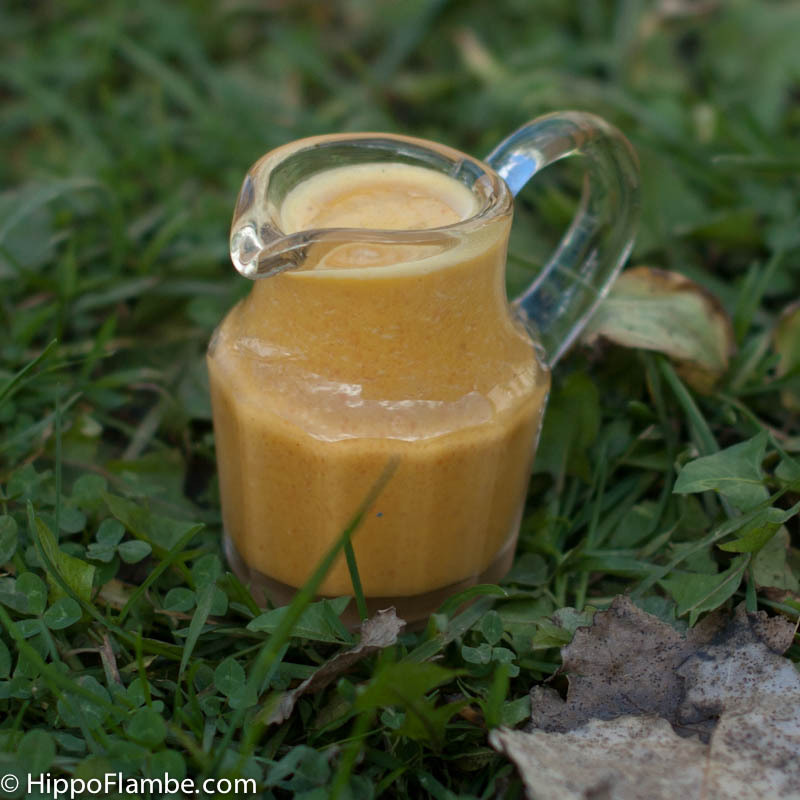 I have been struggling in the midst of a home renovation and finding my place in the working world to find a recipe to share with you. The honeymoon phase as the lunch room monitor is long since over and I am realizing what a mistake this was. I took the job because I wanted to have an impact on how children eat, to try to make a more positive environment. However I have learned that one adult with good intentions, in a room with 80 + children, can only do so much. When one table gets too loud the children at the next table have to get louder so they can hear each other. Soon the lunchroom is filled with yelling children and you have no idea where it got started. I was convinced to apply for this job by friends who know about my passion for feeding children. So instead of continuing to stand in a roomful of children desperately trying to keep things calm, I am going to work on feeding them. Next week I will say good-bye to being a lunch room monitor and join Burlington Food Service at the High School. There will be some minimal food prep to start and I know they are always looking for better ways to feed the students. The head of food service here calls me, "Chocolate Milk" because I first met him at a meeting where I tried to convince him to take it off the menu. We may disagree about chocolate milk, but we both believe in feeding kids. 1 to 2 pears, sliced in quarters, core removed, and then thinly sliced. Peers with thick skins should be peeled first. 2 pears, sliced in quarters, core removed, and then thinly sliced. Peers with thick skins should be peeled first. Sift the dry ingredients together. Measure the milk and add the egg/eggs to the milk and whisk to combine and beat the egg/eggs (I use a large glass measuring cup and then whisk the 2 together by spinning the whisk between my hands. Both my boys can imitate this move perfectly with their toy whisk). Add the wet to the dry ingredients and mix until just combined, a few lumps are fine, overmixing is not. Add the butter while still mixing in the wet ingredients. 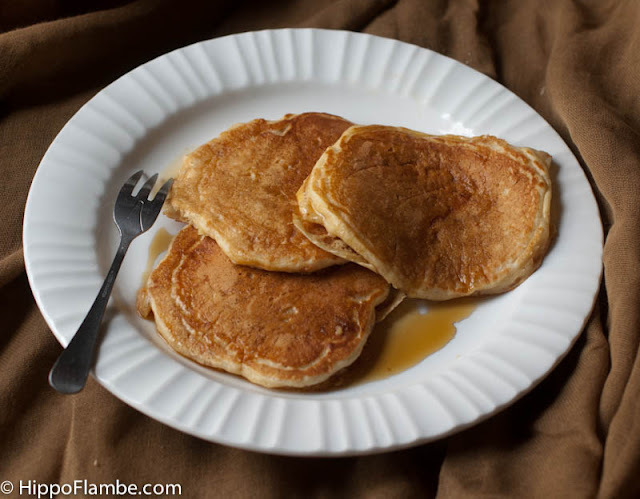 Use a small ladle or measuring cup to pour pancake batter onto a preheated hot griddle that has a light film of butter on it (I set my electric griddle to 350°). Press slices of pears into the pancakes as they cook. 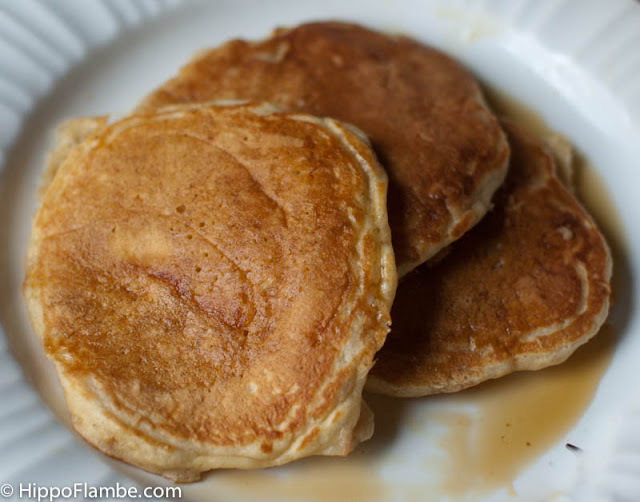 Flip the pancakes when they appear to be dry around the edges and holes appear across the surface of the pancakes. If you are unsure if they are done lift a corner of a pancake with your spatula to check the color. Cook the second side until light brown and either keep warm in a 200° oven or serve immediately with butter and real maple syrup. In case I had been previously confused, I now know for certain, high paying jobs that impress other people are not important to me. Instead I am motivated by jobs that match my values and allow me to parent the way I want. As this blog should make very clear I am heavily invested in how people eat. Because of this I spent a year at the VNA Family Room working for poverty level wages as their Americorps Vista Healthy Food Coordinator. At the end of the year the Family Room was making lunches for their preschool in house instead of relying on food from the school district. My menu included several bean dishes and all the grains where whole grains. Plus, the children actually ate the food, including vegetables, I prepared. Watching a child who said the only vegetable he likes was canned corn devour kale chips made me want to do back flips through the classroom. (It is probably best for everyone that I have never learned to do a back flip). So this summer when a friend started to tell me how my children's school was hiring a lunch room monitor for the first time and I really should apply for the job I stood there listening to her and shaking my head no the whole time. When she was done talking somehow I stopped shaking my head and decided I could make the most difference in how the children at the school ate by being there every day. So now I spend 3 hours smack dab in the middle of the day in a lunch room filled with boisterous children. I walk around and remind them to eat, offer them taste tests of a new healthy food available in the salad bar that I am sure they will like once they taste it. I try to keep the children happy and social without tipping over into crazy chaos and bedlam. I have had feedback from many adults in the building that they would not have taken this job on a bet. But I have also had several staff I really respect tell me I am doing a great job and they have never seen the lunch room with such a nice kid vibe and still efficient. I calmly tell them they have not seen me with the classes that are the most challenging. Truth is most of the time, I love it, and not just because Julian finally has to stop taking chocolate milk. But man is it exhausting, three hours is like a marathon. For me to post here I think it will have to be during the window after I drop my boys and school and before I return for work. 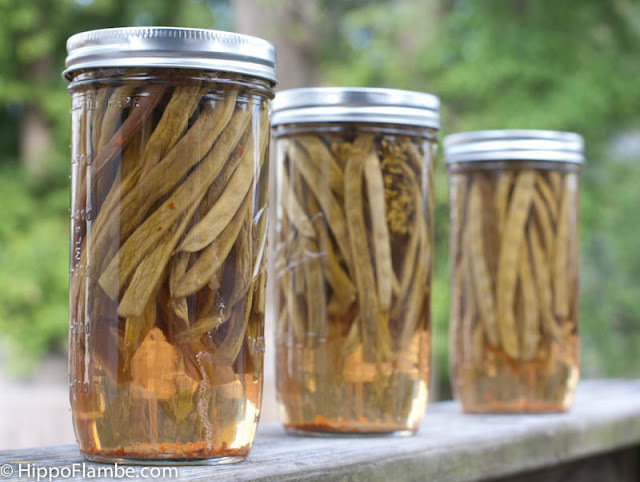 Once I decide these Dilly Beans are done curing my boys will bring them to lunch. Because most of the time my boys still bring lunch from home. Because I make them slightly spicy with 1/4 tsp of crushed red pepper flakes in every jar, both boys will eat them and sip milk between each bite. Trim ends off beans so they fit in the jars with 1/4 inch headspace (I used the new Ball Pint and a Half Jars ). Combine the salt, vinegar and water in a saucepan and bring to a boil and cook until the salt is completely dissolved. Pack Beans into jars with 1/4 inch headspace and add 1 clove of garlic for each pint or pint and a half jar with 1 head of dill and 1/4 tsp crushed red pepper. For quart jars use 2 heads of dill, 2 cloves of garlic and 1/2 tsp crushed red pepper flakes. Ladle hot brine over the beans with 1/4 inch headspace. Use a bubble wand or other nonmetal utensil, to press the beans away from the wall of the bar to release any trapped air. repeat carefully all around the jar. If need be top up the liquid after removing any air bubbles to maintain 1/4 inch headspace. Use a damp paper towel to clean the rims of jars before placing lids and rings on top and tightening by hand. Place filled jars in the canner and process for 10 minutes once the canner comes up to a full boil. After the 10 of processing time turn the heat off and remove the lid of the canner. Let the jars and canner rest and cool for 5 minutes before removing the jars to a kitchen towel or receiving blanket to cool on the counter with at least 1 inch of space between all the jars. 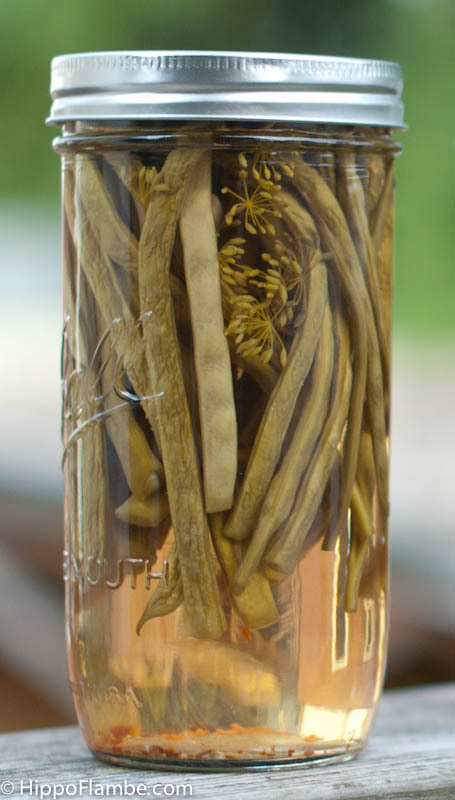 Allow the beans to cure in the jars for 2 weeks before joyfully sampling. All that remains from our vacation to Cape Cod this year is a pile of dirty laundry and a dusting of sand on everything we took with us. This year we spent the early part of the summer working on swimming skills for the boys. As a result both boys are very confident in the water and enjoy hanging out in water over their heads. Unfortunately I do not share this same confidence as Julian needs to duck under the water for a moment every few strokes to take a break. 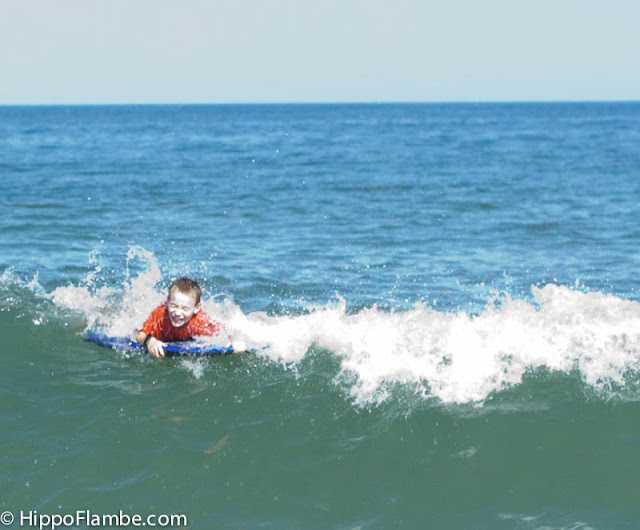 We spent time on an ocean side beach with friends where Julian exalted in boogie boarding. As I watched him one time, a wave tumbled him upside down before spitting him out on the beach. When I asked if he was okay he flashed me a huge grin and said, "That was the best ride of my life." Sebastian still approaches the ocean cautiously, preferring to stand at the waters edge watching our friends boogie boarding to getting on himself. 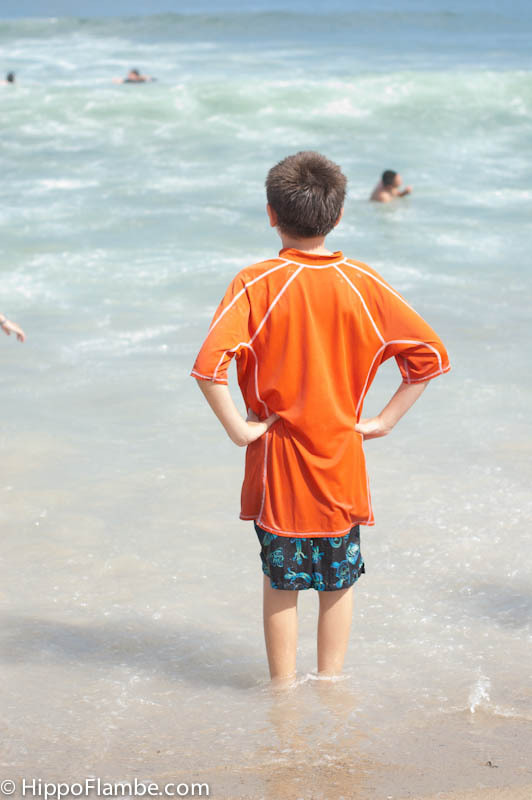 He stood and welcomed the boys, who are 13 and 19, onto the beach when they caught a good wave, pointing out where the best waves were, and establishing an elaborate scoring system for who was the most successful. I love these glimpses into the differences between my boys in contrast with the many ways they are the same. They both agree that lobster meat is not something they wish to try and fish should be enjoyed every few weeks at the most. The problem for them is while on vacation I refuse to cook meat that is raised in a way I am uncomfortable with. As we vacation every year next to the ocean this means I limit myself to eating from the sea. I love this chance to play in the kitchen with what is usually a occasional treat. Both boys continue to refuse to eat lobster, which means Lewis and I can indulge in a large lobster for dinner with the leftovers filling rolls for lunch the following day. I was unsure if I would share the recipe here until yesterday when we attended a catered event that featured lobster rolls. The sad truth was ours were so much better, and not only because there was so much more lobster meat in each. 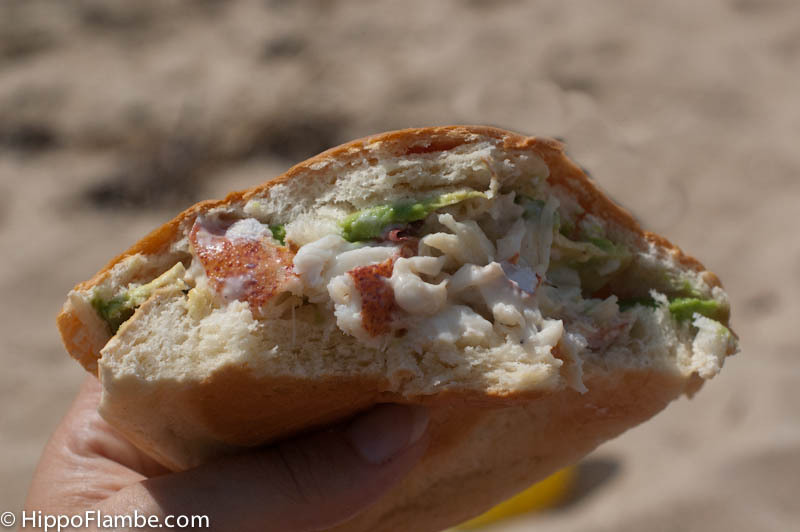 A really great lobster roll highlights the sweet taste lobster flavor without trying to upstage it. Yesterdays catered rolls included fresh tarragon, a stronger flavor that clashed with the sweet lobster meat. Personally I love tarragon in a dijon dressing or with a light hand in chicken salad, but it has no place in a lobster roll. Mix the mayonnaise, lemon juice, mustard, salt and pepper. Fold the mayonnaise mixture into the lobster meat until it is evenly combined. Pile the lobster meat on the roll and top with sliced avocado if desired. 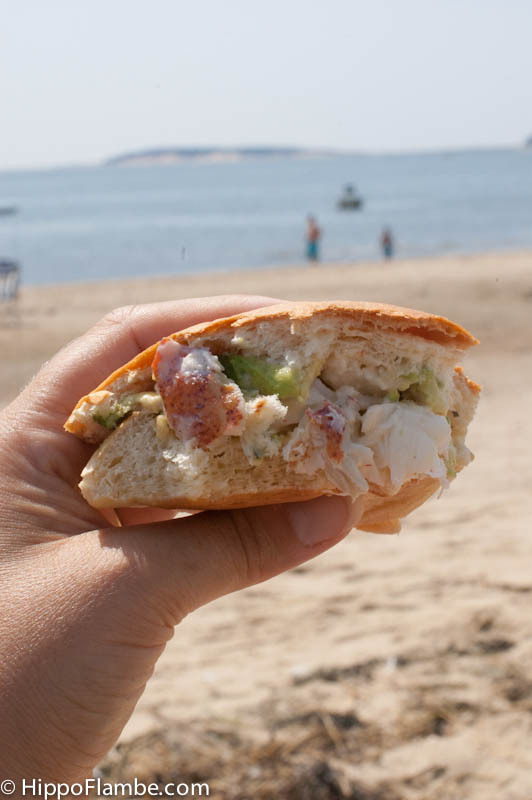 If possible eat on a beach in the sun. I first attempted to make pie crust the summer I was twelve, as a surprise for my mother who was coming home from the hospital. 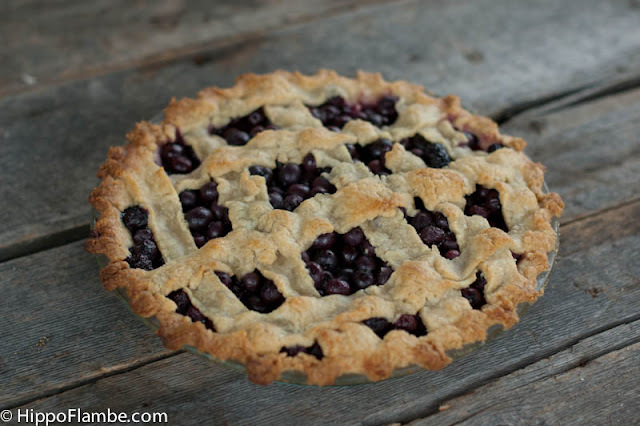 The crust I made for that blueberry pie was beautiful, golden brown, with each strip of the lattice top perfectly even. It looked beautiful because I sat watching "The Price is Right" carefully shaping it, squishing up the dough when it was not perfect and rerolling it. It was the most beautiful pie crust, and made with love, but inedible. All that time I spent reworking the dough made it tough, the gluten forming in the dough erasing the delicate nature the crust should have had. Shortly after I pulled the pie from the oven I left the apartment to have lunch with my mother's college physics professor. My brother decided to stay home for lunch, informing me he would have a piece of pie. When I returned home I found my pie with one slice neatly removed from it, and all of the filling carefully scraped out and eaten. My brother had helped himself to all the filling, leaving the crust, that he had decided was inedible, as an empty skeleton. I am sure that I screamed at him, and equally sure he really did not care. When my mother returned home from the hospital she claimed to enjoy the chewy, tooth breaking crust. Every night after dinner she somehow consumed a slice of crust until the pie shell was gone. That memory of my mother and her love for me, because I highly doubt she really loved that crust, was from the last few months she was alive. All this is important because now I can make a really great pie crust, and she died 30 years ago today. Without my mother, somehow it is true that I married a man my mother never met, that my mother never had the chance to meet my children, or even to know me as an adult. When I was younger my mother had shared her plans for when she was old, only using a wheelchair if it had a top speed of 70 miles an hour and teaching my children every curse word she could think of. Unfortunately she did not get to realize these plans, but Sebastian, my ten year old, tells me he knows and loves my mother from the stories about her I share. 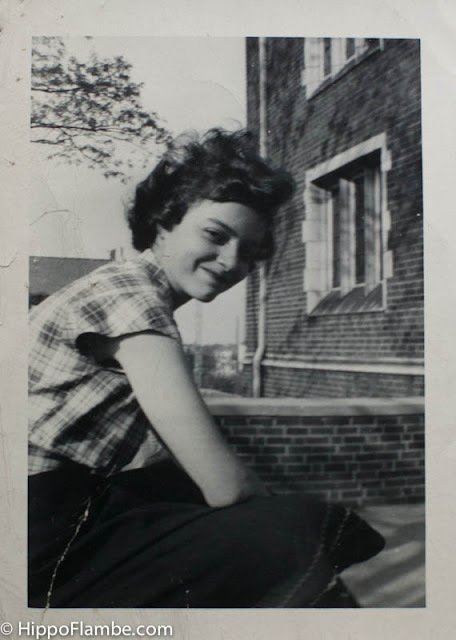 The stories of a woman who brought me to cooking even though she hated it, was a feminist and a humanist, had a love of the absurd and laughter, and always knew her own mind, even when it was different from what others thought. She knew that she wanted to be a physicist, and jumped through all the road blocks, including the ones set by her college, to obtain a PhD. 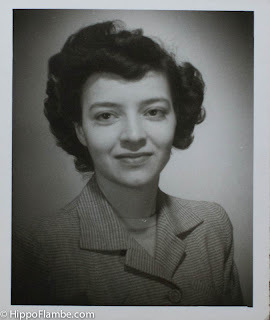 Every year I am aware of the anniversary of my mother's death. I have found that I am more sensitive on that day, that it really is not a day to tackle challenges. So this year I decided to intentionally notice the anniversary of her death, even if it is only with a blueberry pie. The filling of this pie is just as good as it was 30 years ago, good enough to scrape out and eat an entire pies worth. The crust, rolled with a light hand, working it as little as possible, is tender and flaky, with a flavor that will remind you of a shortbread cookie as it melts in your mouth. Nothing like the first time I tried to make this recipe. As this post points out, it is very important to work this crust as little as possible. Roll it in a ball and set it aside as soon as it comes together and roll it out gently, only gently pressing the crust together as needed, instead of rerolling it. Unlike many crusts this one is very delicate, so plan on a more rustic look and embrace it, instead of a perfect layered lattice crust. The delicate shortbread taste and texture are worth the extra care. Either sift the flours together into a large mixing bowl or fluff it up with a fork. Make a well in the center of the flours and place the egg yolks, sugar, salt, and butter cut into teaspoons or small chunks in the center. Use a pastry blender, 2 knives or your fingers to blend the wet flour with the other ingredients to form a stiff dough. If the dough is too dry add one or two drops of liquid of your choice (vodka, kirsch, or ice water). Roll the dough into a ball and wrap in foil or waxed paper. Put the dough in the fridge to rest for one hour. Divide the dough into 2 pieces. Roll one half of the dough out for the bottom crust and line a 9 inch pie plate with it. Roll the other half of the dough out and cut into 1/2 inch strips to make the top lattice crust. Some pie makers get fancy and weave the top crust, I find this shortbread crust is too delicate so I just lay all the strips down in one direction and then lay the other strips down on top going the other way. When I was a child we would ask in restaurants if the blueberry pie was runny. When they proudly said no we would often, disappointedly, choose to order something else. If you don't like your blueberry pie runny consider adding another tablespoon of flour or corn starch. Preheat the oven to 400°. Pick over the berries and remove any stems, leaves, unripe, or squishy berries. 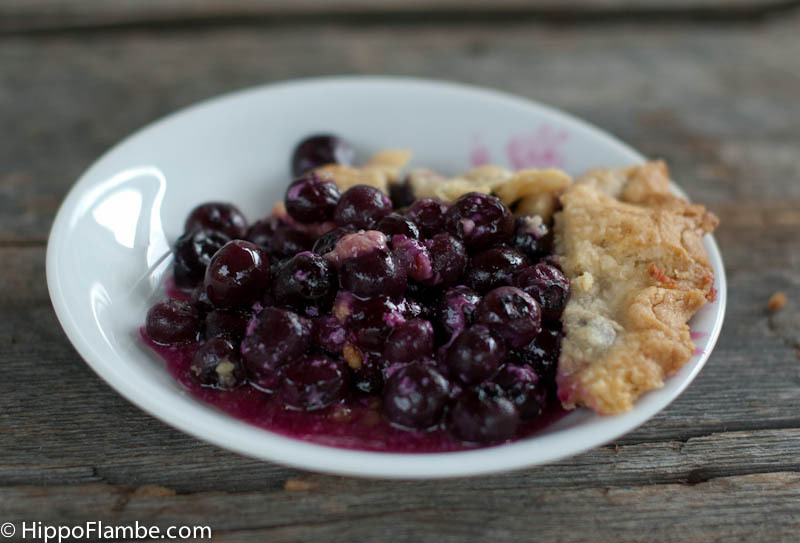 Mix the berries with the sugar, salt, flour and lemon juice before pouring into the bottom crust in the pie plate. Dot the berries with the butter and layer the lattice crust on top. Brush the crust with milk, dump the extra milk into the pie before baking for 40 minutes, or until the top crust is golden brown. We recently went to a local Mexican restaurant for lunch with my dad where all the adults ordered a side of "Mexican Grilled Corn." My margarita was tasty and my taco was easy to eat, but the corn was what has me still dreaming of that lunch. There was the salty, crumbly cortija cheese, the creamy melted mayonnaise and butter coating all the kernels and then the unexpected contrast of the ancho chile powder. When we had all finished out meals the waitress came to clear our plates and ask about dessert. Lewis said, "For dessert I will take another ear of that corn please." Then he didn't share! So I I begged the waitress for the details of how the corn is prepared so I could make it every time I find corn on the cob. Since then we have made it whenever I have the good sense to buy corn. The first time I had to use Grana Padano in place of the Cortija cheese because my favorite store, City Market, does not carry it. Since then I have found the cheese at at Healthy Living. Comparing both versions I don't think there is enough of a difference to warrant buying cortija again. However I have not done a side by side comparison yet. 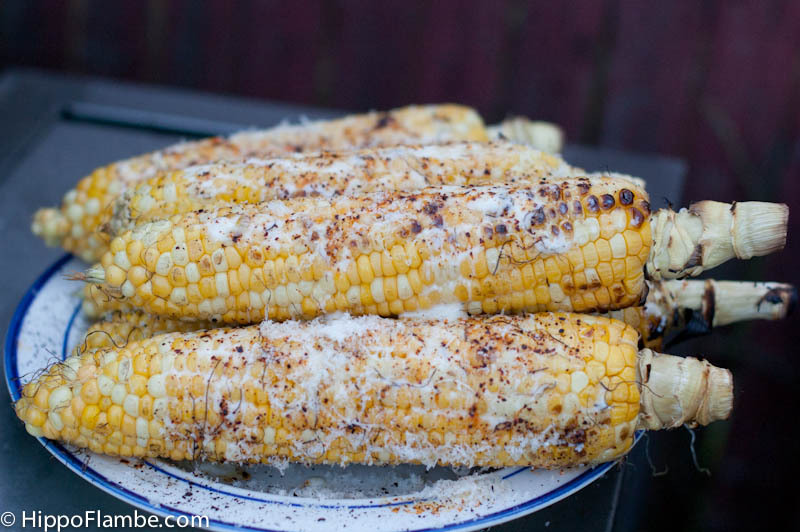 Grill the corn without the husks, turning frequently, until charred in spots on all sides. (You can also just bring a pot of water to the boil and add the husked corn. When the water comes back up to the boil add the corn and turn off the heat. Corn will be ready in a few minutes but it can be kept in the water to stay warm). While the corn is cooking mix the mayonnaise and butter well and grate the cheese. When the corn is cooked take it off the heat and spread the mayo/butter mix allover. 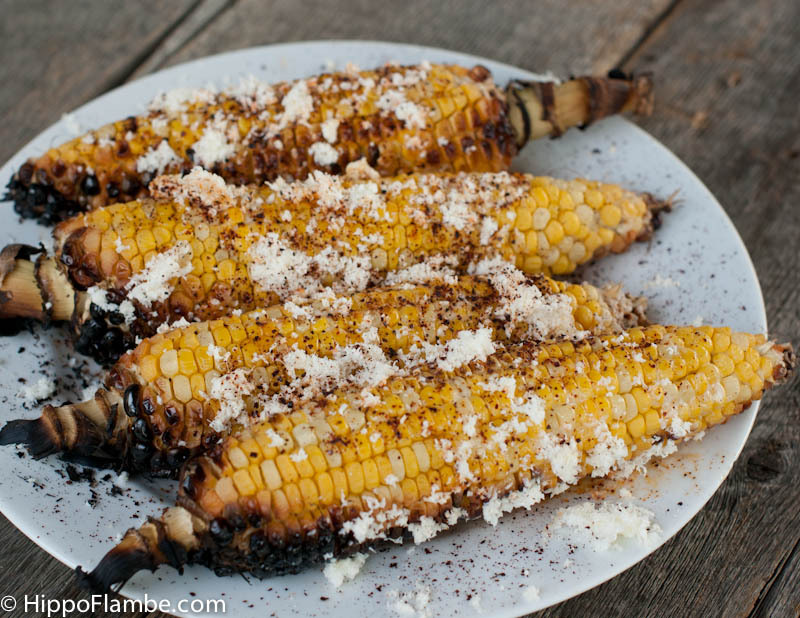 Sprinkle the corn with the cheese and dried chile powder to taste. Serve with lime wedges on the side. 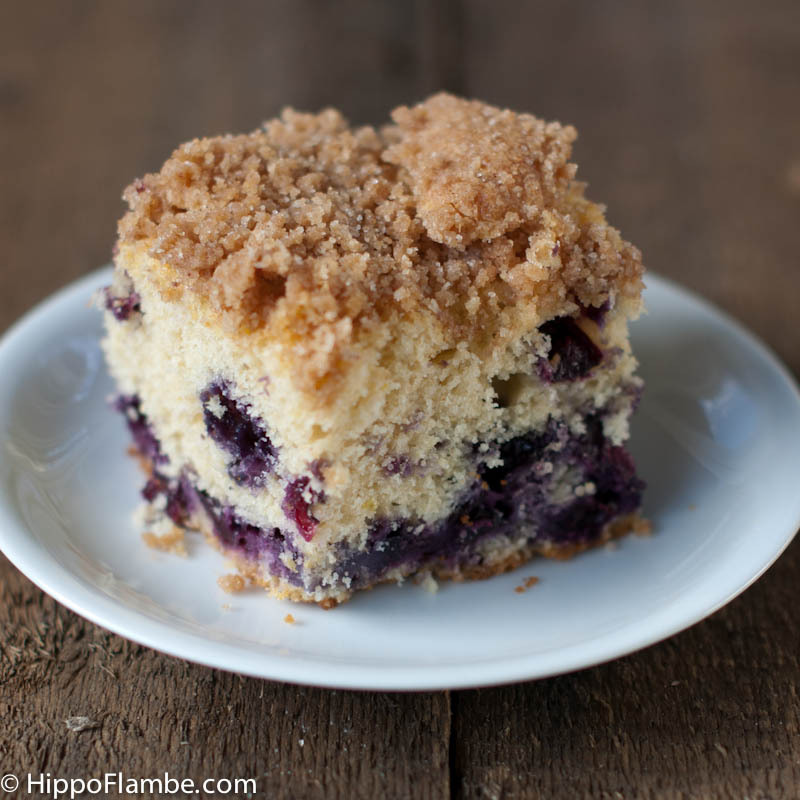 Last weekend as I baked this blueberry crumb cake I told Lewis to call a friend to see if they wanted to have a 2 family pot luck that night, because we would have cake. Somehow I did not feel badly about basically inviting ourselves over for dinner, when one of our dinner contributions was a freshly baked cake, warm from the oven, which smelled softly of cinnamon, lemon and blueberries. Somehow I wasn't phased by the fact this was the first time I had made this cake because sadly I make a practice of serving new dishes to friends. Happily my faith in this recipe was well placed and everyone who tried it insisting on a second piece. The genius part of the recipe was the use of bread crumbs to dust the butter on the sides of the pan so the cake would not stick. I always find the usual flour dusting the pan makes for a white smear on the outside and sometimes the faintest taste of raw flour. The bread crumbs disappeared visually and the only taste was the cake and maybe a hint of more butter. Wash the berries and drain well in a sieve before drying with a paper towel. Set aside to dry completely while you make the batter. Preheat the oven to 375° Butter a 9 inch square cake pan (I used a pyrex baking pan) and dust with the bread crumbs. Combine the 1/3 cup whole wheat pastry flour, cinnamon and 1/2 cup sugar before cutting in 4 Tbsp of the cold butter with a pastry blender or 2 knives until it is cut into uniform sized coarse crumbs. Set aside. Beat the other 4 Tbsp cold butter with the 3/4 cup sugar in a stand mixer with the flat beater blade or in a large bowl with a hand mixer, until light and fluffy. Scrape down the sides of the bowl, unless you are using a self scraping beater blade, Beat in the vanilla and egg followed by the baking powder and salt. Beat until it everything is completely incorporated. 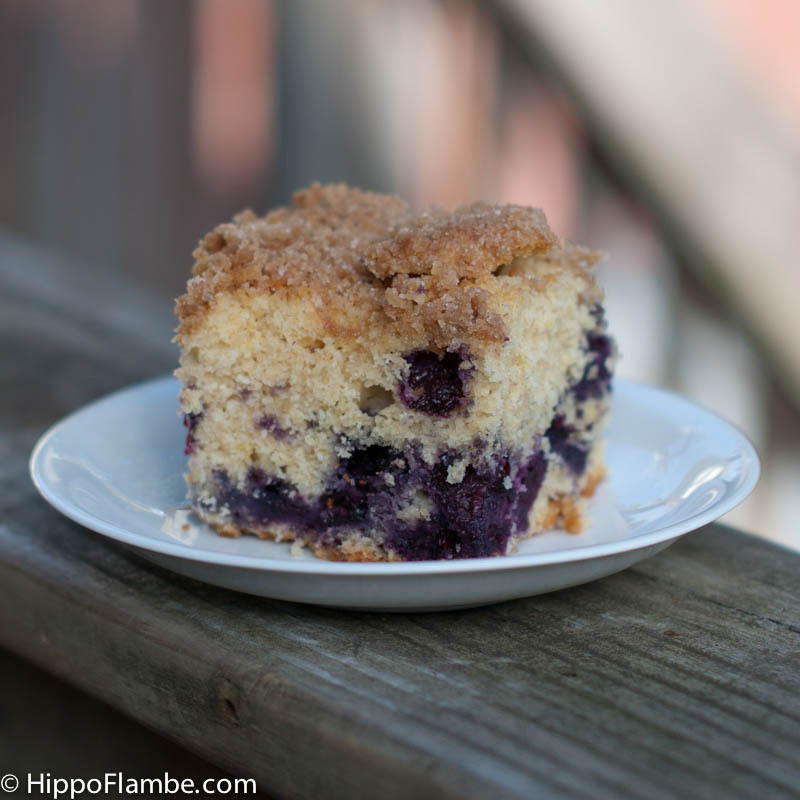 Sprinkle 2 Tbsp of the flour over the blueberries and toss gently to coat the blueberries in flour. Stir 1/3 of the flours into the wet ingredients, followed by half the milk, then the next 1/3 of the flours, then the rest of the milk and lastly the remaining flour. Stir in the lemon zest before spooning the batter over the berries and folding gently with a silicone spatula until just combined. Scrape into the prepared pan, sprinkle with the nuts if using and then the cinnamon sugar topping. Bake for 50 minutes until a knife or cake tester comes out clean when inserted in the center of the cake. Cool the cake in the pan on a rack (or in the back of a car on the way to dinner).